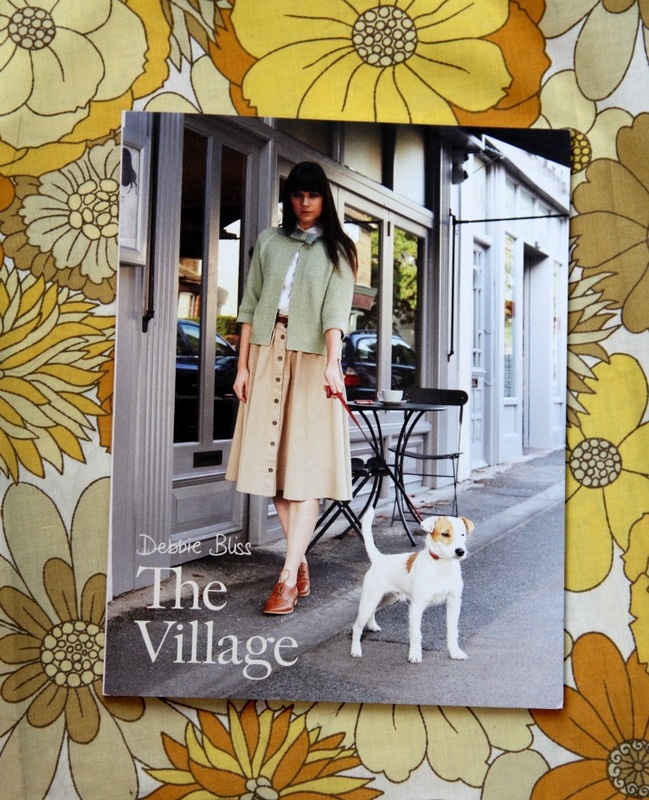 Today I am giving away a little booklet with 6 new Debbie Bliss knitting patterns. Why, you ask me? Well, because I love you, Silly! 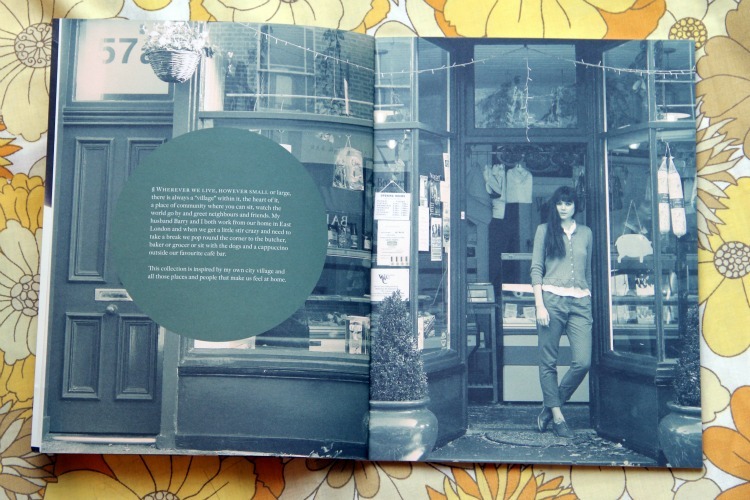 And because this little booklet was shot just around the corner from where I live. That butcher's shop window the model is leaning against? We often get their delicious sausages for our barbecues. The bar in the restaurant where the dog is drinking? I booked my birthday dinner there! So I got pretty excited when I first saw this collection and got one copy for myself (even though the patterns are maybe a bit advanced for my knitting capabilities) and one for one of you! 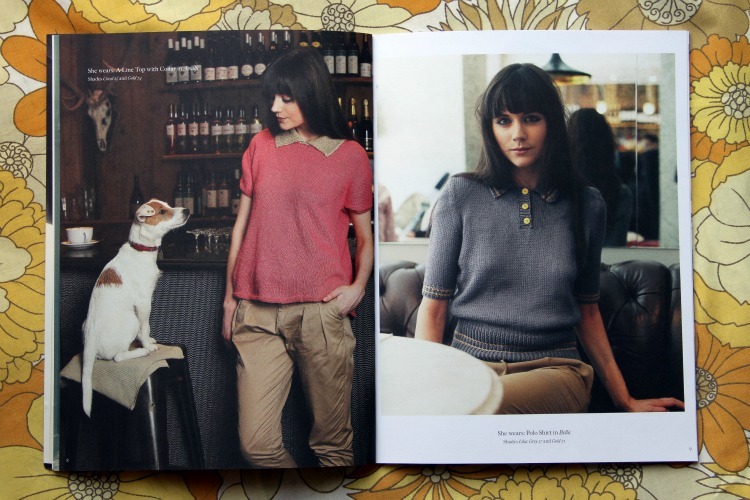 The tops you can knit following these patterns are all classic and elegant. 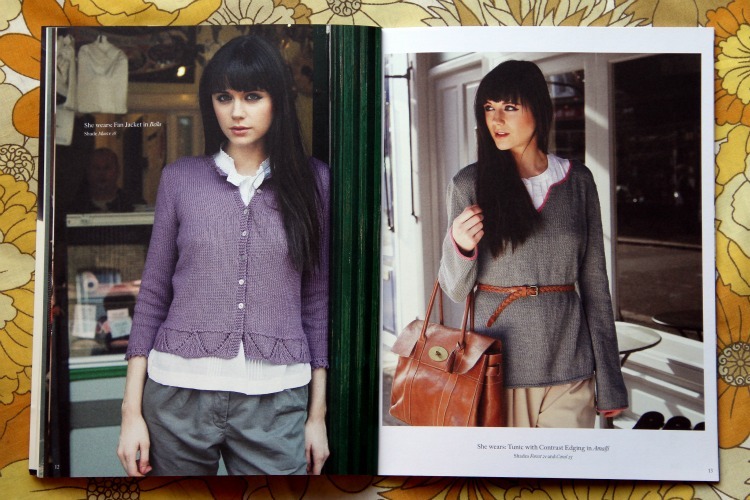 Plus you might feel close to me while you're looking at the photos, and imagine what it would be like to meet up for a coffee and a chat in your new knitted cardi! Mwah! Check below how you can win! 1) MANDATORY - Leave a comment below and tell me about your favourite shop/café/restaurant in your area. 2) OPTIONAL - For one more entry, follow my blog via Google Friend Connect and leave a separate comment if you are. The giveaway will close at midnight (GMT) on Saturday, 2 June 2012 and I will draw a random comment and announce the winner the week after. Hi Annika! I'm from Austin TX and my favorite shop here is Blue Velvet Vintage. They have the cutest clothes and the last thing I bought was this great antique necklace. It's huge and lovely. It's the last picture posted on the link. Thanks for entering and good luck! That shop sounds like my kind of place! Hello! My favourite cafe is called Ootong & Lincoln. It's a short walk from our flat, it's got the most amazing decor, and it's got a really chilled vibe - perfect for a Saturday morning coffee! oooh... and I tweeted too! Ooooh my favourite cafe/restaurant that I've discovered so far in Devon is J Street Diner in Okehampton. It is a fabulous 50s diner and does the best milkshakes and burgers! AH, my favorite cafe is our Eisdiele here in Weikersheim - I just love sitting outside in front of the castle here!! Of course I follow via GFC!! Look! I can make curtains!